Want a small dash of garlic that delivers big flavor? Rather than mincing a full clove of garlic by hand, use this minced garlic that's packed in oil for additional flavor! 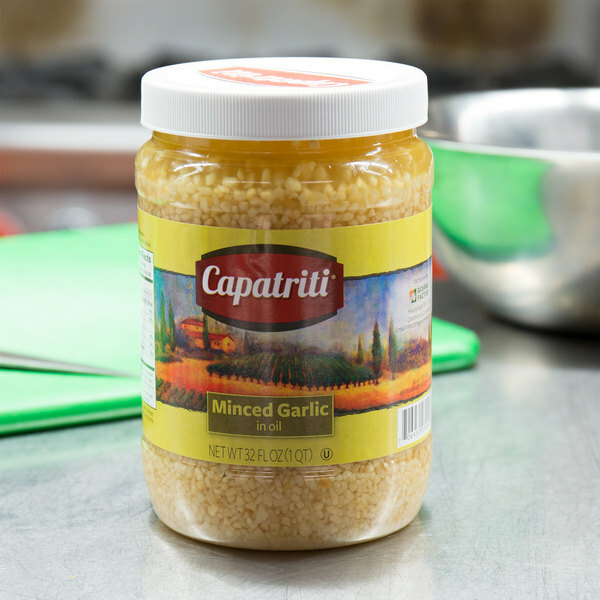 Featuring a wholesome flavor and authentic taste, this minced garlic is perfect for bringing Italian taste to any pasta dish. It is also great for making warm and fresh garlic bread. It's sure to deliver distinct, full-bodied garlic taste in any recipe you use it for. Versatile and convenient, it makes a welcome addition to your Italian restaurant or sandwich shop! With this already preserved garlic in oil, you can shorten your preparation time and therefore provide faster and easier service to your hungry patrons! In addition, this garlic is minced uniformly to ensure even cooking and a completed dish that is packed with real garlic taste. As opposed to chopped garlic, this minced garlic more easily disperses and blends with the other flavors of your recipes. Use minced garlic in oil for barbequed meat rubs, chilis, stir frys, marinades, or vegetables. It can be sauteed, spread on bread crusts, and included in flavorful seasonings and sauces. Cut back on preparation time, serve your guests faster, and lengthen the shelf life of your garlic with this sealed and preserved 32 oz. jar! Locally, it has become increasingly difficult to fine minced garlic in oil. We can usually only find it in water. So we were thrilled to find it here, and at a fraction of the price of the local market. 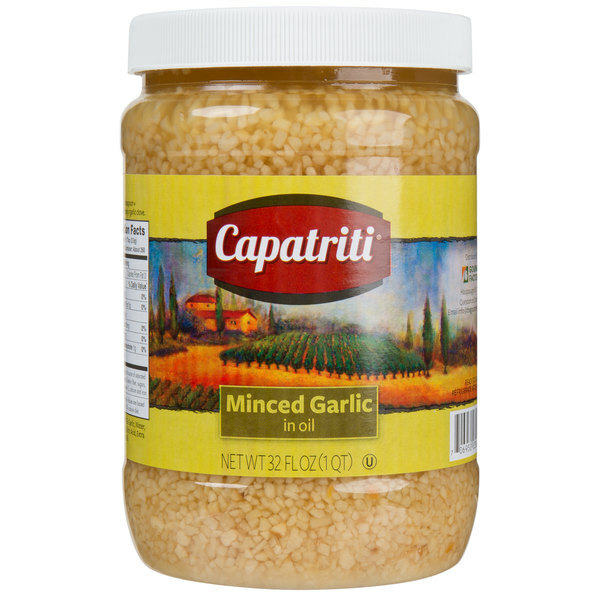 This is the best minced garlic in oil. It continues to stay fresh time and time again after opening the container. The oil keeps it from drying up, just make sure to drain the oil when cooking! I was very pleased with this minced garlic. It is fresh and the oil is good quality. The mince size is just right for my needs and the price is outstanding.